Multipet Sock Pals Mouse is a cat toy made of soft sock-like material that your cat can toss, chew, and bat. Inside is genuine organic catnip sure to drive your kitty crazy! 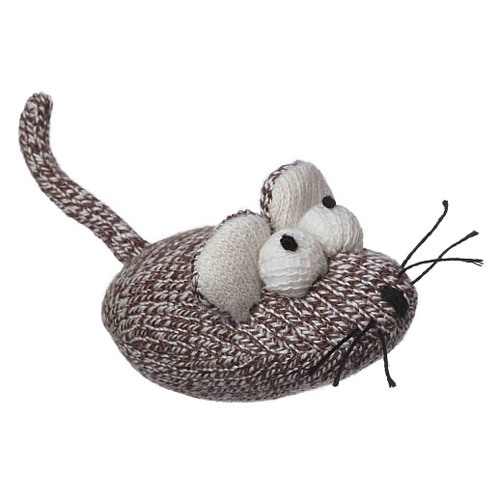 Multipet Sock Pals Mouse is small and light-weight, perfect for your favorite kitty! Shipping weight: 1/10 lb. Kitten I have loves this sock mouse. It shows up in every room in the house. He carries it around like a trophy. We ask him to get his sock mouse and he will run get it. Been a fun toy for the kitten . . . . . and us.